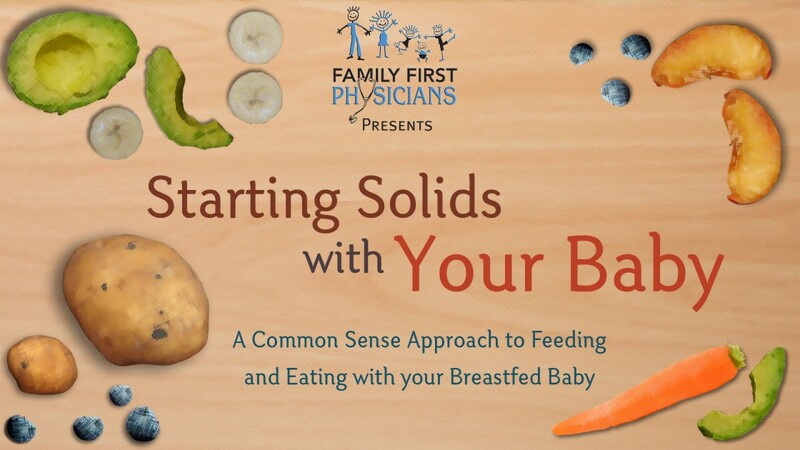 I created the identity, graphic slides, animation illustration and website for this educational and professional video series by Dr. Karen Federici and Family First Physicians. 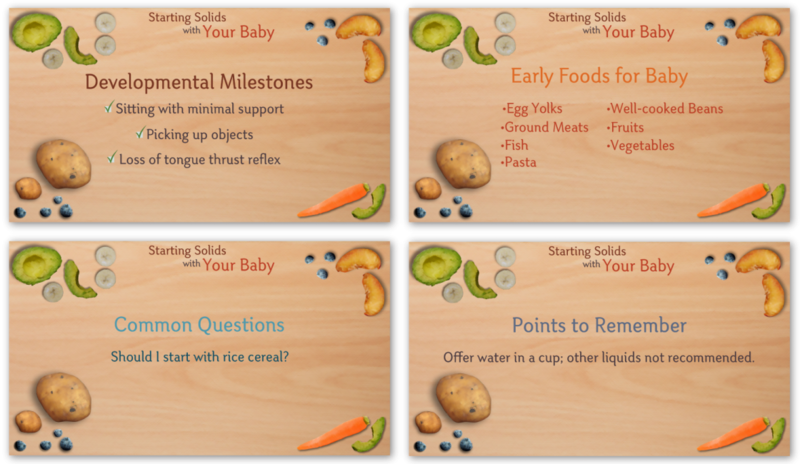 Sample text slides from Starting Solids with Your Baby – Parent Edition. 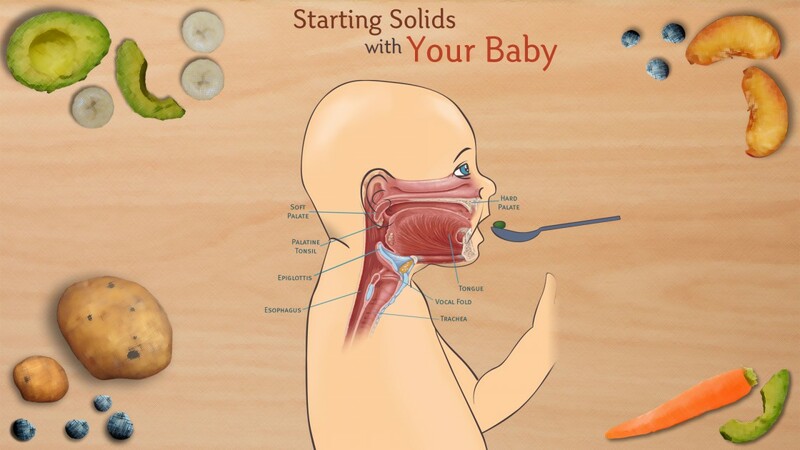 The Parent version of Starting Solids with Your Baby also required an anatomical illustration and animation to show various forms of ingestion. 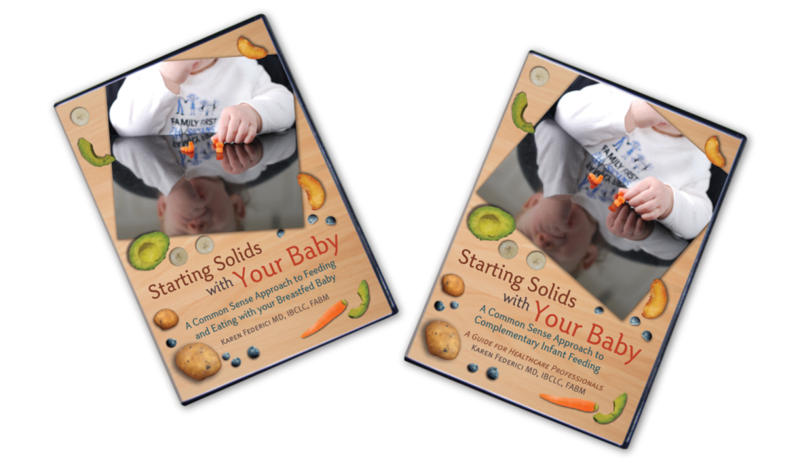 DVD covers for both the Parent and Professional Versions of Starting Solids with Your Baby. 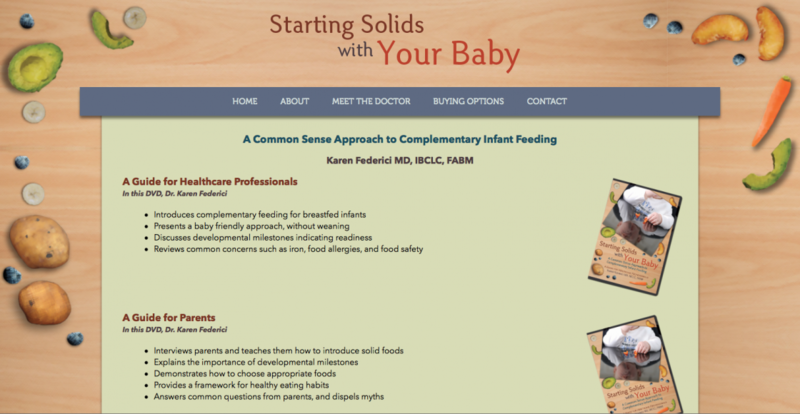 Lastly for this project I created a simple html website to coincide with a conference presentation given by Dr. Karen Federici from Family First Physicians.